Whether you’re new to golf or an experienced player, you should practice proper etiquette. Not only does it show appreciation for the sport, but it is also respectful to fellow players. Before you go out for your next round, keep these tips in mind. While it’s fine to keep your phone in your pocket for emergencies, it’s always best to leave it on silent when you’re on the golf course. An incoming call or text alert can distract you and your fellow players. You might also be tempted to answer a message if you hear it go off, which can slow down play considerably. The beauty of golf is how calming it is. Many people play for relaxation and to avoid the chaos of everyday life. Respect this by keeping your volume down during and in between shots. Always apologize if you do create an accidental disturbance. There’s always a chance you may hit a shot toward other players. Do your part to warn them by yelling, “Fore!” This gives them a chance to react quickly. If someone yells it in your vicinity, duck and cover your face. 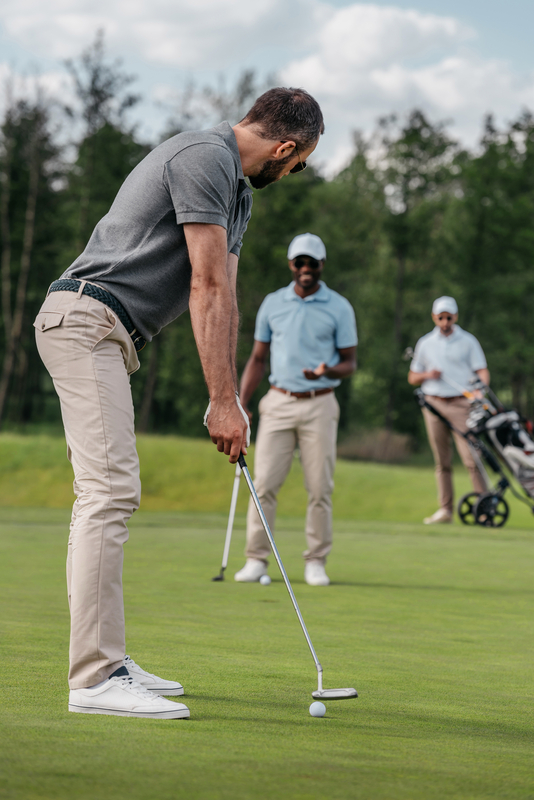 Spending hours in the sunshine working your way through an 18-hole course is relaxing, but you might be slowing down the pace for others if you take too long in between shots. Prepare for your shot in advance and try not to linger after you hit. You want to keep up with the players ahead of you. Sportsmanship is the cornerstone of golf, long considered a gentleman’s game. Take pride in your conduct both on and off the course. Arrive on time, introduce yourself to fellow players, and be congenial in determining who will play first in the group. After completing play, shake hands with your partners. If you have a caddie, provide a tip for a job well done! To put your golfing etiquette to use, head to Bay View Golf Course in Kaneohe, HI. Since 1963, the 18-hole course has delighted golfing enthusiasts with its expansive views of Kaneohe Bay, luxuriously green grounds, and intuitive layout that includes plenty of challenges for players of all skill levels. You can also perfect your swing on their driving range. Visit the website or call (808) 247-0451 to book your tee time, and join their eClub to receive regular special offers.